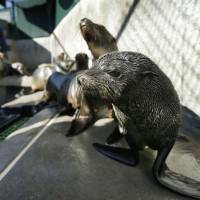 PARIS/WASHINGTON - The number of days marked by potentially destructive ocean heat waves has doubled in 35 years and will multiply another fivefold at current rates of climate change, scientists warned Wednesday. Even if humanity does manage to cap global warming “well below” 2 degrees Celsius (3.6 Fahrenheit), as called for in the Paris climate treaty, marine heat waves will sharply increase in frequency, intensity and duration, they reported in the journal Nature. Off San Diego, scientists this month recorded the highest sea temperatures since daily measurements began in 1916. Between 1982 and 2016, the number of marine heat waves roughly doubled, the study found. 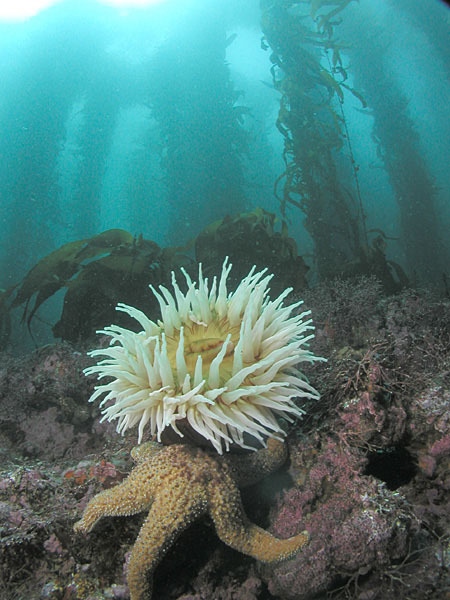 Prolonged periods of extreme heat in the oceans can damage kelp forests and coral reefs, and harm fish and other marine life. The team defined marine heat waves as extreme events in which sea-surface temperatures exceeded the 99th percentile of measurements for a given location. Because oceans both absorb and release heat more slowly than air, most marine heat waves last for at least several days. Compared to hot spells over land, which have claimed tens of thousands of lives since the start of the century, ocean heat waves have received scant scientific attention. But sustained temperature spikes at the surface of the sea — typically to a depth of several meters — can also have devastating consequences. A 10-week marine heat wave near western Australia in 2011, for example, shattered an entire ecosystem and permanently pushed commercial fish species into colder waters. Another ocean hot spell off the coast of California warmed waters 6 C (10.8 F) and lasted for more than a year. 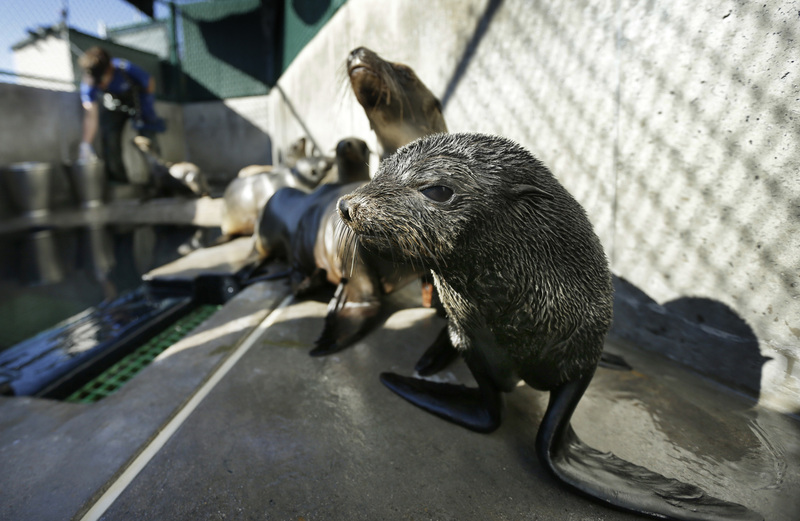 Known at “The Blob,” it generated blooms of toxic algae, caused the closure of crab fisheries and led to the death of sea lions, whales and sea birds. Coral reefs — which cover less than 1 percent of the ocean’s surface but support a quarter of marine species — are especially vulnerable to warming waters. Recent spikes in tropical and subtropical sea temperatures, magnified by an especially potent El Nino, have triggered an unprecedented mass bleaching of corals, affecting 75 percent of global reefs. “Until now, the corals were often able to recover from such bleaching events,” said Frolicher. “However, if the intervals between these events becomes shorter, the corals will no longer be able to regenerate, and irreversible damage can be expected. Frolicher and colleague Erich Fischer, along with Nicholas Gruber from ETH Zurich, used satellite data and climate models to calculate recent and projected changes in marine heat waves. The projections looked at two possible futures. Under the “business-as-usual” scenario — the track we are on now — the average global air temperature will rise 3.5 C by 2100. Under the Paris Agreement scenario, global warming is capped at 2 C above the pre-industrial revolution benchmark. So far, the world has warmed by 1 C.
In a 2-degree world, the number of days with marine heat waves will jump to 84, from about 33 today. 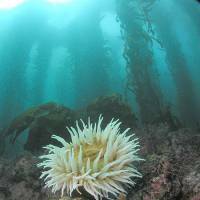 In a 3.5-degree world, 150 days a year will have marine heat waves, the researchers found. The area covered by marine hot spots has already increased threefold. It will rise ninefold in a 2 C scenario, and by 21 times in a 3.5 C scenario. Marine heat waves will also last longer on average, from 25 days today to 55 days in a 2 C world and 112 days on a planet that has warmed by 3.5 C.
Marine heat waves may also affect the ocean’s ability to soak up greenhouse gases. To date, oceans have absorbed more than 90 percent of the extra heat generated by man-made climate change. Without that sea-water sponge, air temperatures would be tens of degrees higher. It is already known that global warming slows the transport of the carbon absorbed by micro-organisms at the ocean surface to the ocean floor, where it can safely remain for millenniums. Marine heat waves do not affect that “carbon cycle” process but could make things worse by damaging shallow-water ecosystems that also store carbon dioxide. “That damage can lead to the release of the carbon,” said Frolicher.